I’m currently organising a blog tour for Dianne Noble with her contemporary fiction novel, A Hundred Hands. 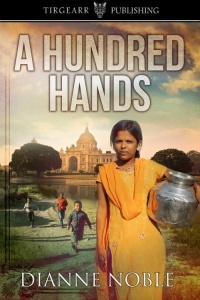 A Hundred Hands will be published by Tirgearr Publishing on 2nd November, and is available for pre-order from Amazon UK, Amazon US, iBooks, Kobo and Smashwords. The tour runs from 7th – 11th November (weekdays only). I’m looking for five blogs which will host guest blogs or interviews. Review copies will also be available.